“The 3.1-tonne satellite was injected in the GTO 31 minutes after it was launched at 0211 IST and separated from the rocket’s upper stage at 1,800 km above earth” Said an official of the Indian Space Research Organisation (ISRO). Ariane-V of Arianespace belongs to the European Space Agency consortium. The Indian spacecraft carries 24 high-power Ku-band transponders for direct-to-home (DTH) services provided by state-run and private broadcasters. 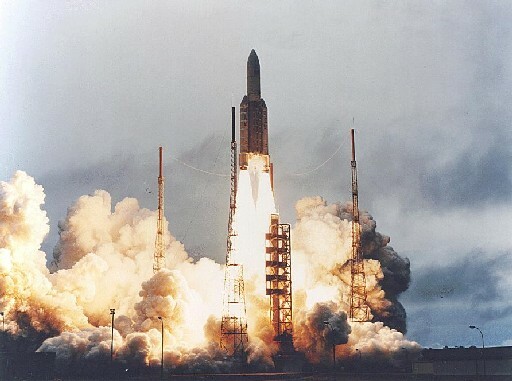 The space agency’s master control facility (MCF) at Hasan, about 180 km from Bangalore, started receiving the signals from GSAT-8 within minutes after it entered the geo-synchronous transfer orbit (GTO). The MCF also took command and control of the heavy satellite. Along with GSAT-8, the space agency sent the global position system (GPS) aided geo augmented navigation (Gagan) as an additional payload to improve the accuracy of the US’ GPS.